Co-written by his wife, songwriter Zelma Redding. Preview of Dreams To Remember: The Legacy of Otis Redding with some good live clips. learning more about Ms. Redoshi. Here's a bit more than the article's nice treatment slant. I can't get her off of my mind because we're from the same region and, I believe, clan. What a voice. Love her. Thank you. Brand New Key, one of the funnest songs ever. Finally inducted into the 2018 Rock & Roll Hall of Fame. Brian Wilson: "Carol, you're the greatest d--- bass player in the world". Lou Rawls: "Carol played great on all my hits (60's) and she was cool." Jazz singer Joe Williams: "Carol Kaye, as black as she wants to be." Benny Carter: "Carol, you were the best on Fender bass and a large part of our music business." Milt Bernhardt, vip trombonist, Emcee of Big Band Academy: "Carol Kaye, I forgive you for putting the Fender Bass on the map." Plas Johnson, #1 recording jazz saxman (Pink Panther): "I enjoyed 'Thumbs Up', everyone played well." guitar player as well as a kick-a-- bass player!" Taj Mahal to Carol Kaye when both appeared at the 2000 EMC Music Museum in Seattle - "Carol Kaye, you are the BEST!" that kindness is biological, deeply rooted in our evolution as a species. I wish I had a documentary link handy that disproved the myth of competition among early hominids killing each other off. Fortunately people with above-average tendencies for hatred are not the norm, otherwise I don't think we'd be conversing now. Again, kindness is not a cultural construct. But as Perseus says, "It is unfortunate that the bad people make all the noise." Here's Keltner talking about his kindness research findings. The birds were going off this morning, chirping so much I had to stop and look out the window, then overcome by the sunrise. Reminded me of the children singing the sun to rise in the final scene of Black Orpheus, another magnipiece of art from 1959. What a year. This is how I've felt about 46-1 since ever knowing of him back in the day. It's also been historically fascinating to me with each Republican administration and, too, because of the heavenly chorus by the Jackson 5 on the LP. "1959 was the seismic year jazz broke away from complex bebop music to new forms, allowing soloists unprecedented freedom to explore and express. It was also a pivotal year for America: the nation was finding its groove, enjoying undreamt-of freedom and wealth social, racial and upheavals were just around the corner and jazz was ahead of the curve. Four major jazz albums were made, each a high watermark for the artists and a powerful reflection of the times. Each opened up dramatic new possibilities for jazz which continue to be felt Miles Davis Kind of Blue Dave Brubeck, Time Out Charles Mingus, Mingus Ah Um; and Ornette Coleman, The Shape of Jazz to Come. Rarely seen archive performances help vibrantly bring the era to life and explore what made these albums vital both in 1959 and the 50 years since." 60 years actually. "The program contains interviews with Lou Reed, Dave Brubeck, Ornette Coleman, Charlie Haden, Herbie Hancock, Joe Morello (Brubecks drummer) and Jimmy Cobb (the only surviving member of Miles band) along with a host of jazz movers and shakers from the 50s and beyond." Over the past year, Belgium has taken a number of steps to reassess its colonial past. The apologies also come at a time when politicians across Europe are under pressure from a growing African diaspora and a younger generation that wishes to shed a new light on colonial history in order to tackle latent racism and discrimination in European society. 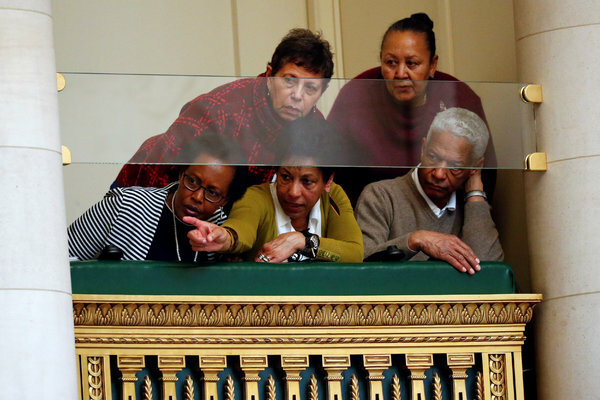 Visitors at Mr. Michel’s speech to Parliament in Brussels. Dozens of mixed-race people were among those in attendance. Mr. Budagwa was a co-author of a Parliamentary resolution that was unanimously adopted last year urging the government to apologize and recognizing Belgium’s misdeeds regarding the mixed-race children with the complicity of the Roman Catholic Church.